Please note that no one is automatically scheduled for any class. Sign up for a class is on a first come – first serve basis. First 6 people to sign up and pay will be in a class. 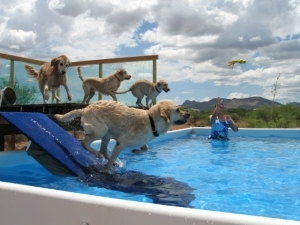 Dogs will learn how to swim, how to enter and exit pool, retrieve toys, and possibly how to “jump” into the water. You might have to go into the pool with your dog until he swims comfortably. The pool is not heated. Dogs must willingly jump off dock. This class will help you perfect your throwing, and other techniques to help your dog jump farther. Pool can only be rented for 1/2 hour or hourly. We do not rent for less than 1/2 hour increments. 30 minutes: First Dog $15 , additional dogs $5. Hourly: $25 per hour for your first dog. Additional dogs are $10 each per hour. If you rent the pool for more than an hour, all dogs pay $10 per hour for the second hour. 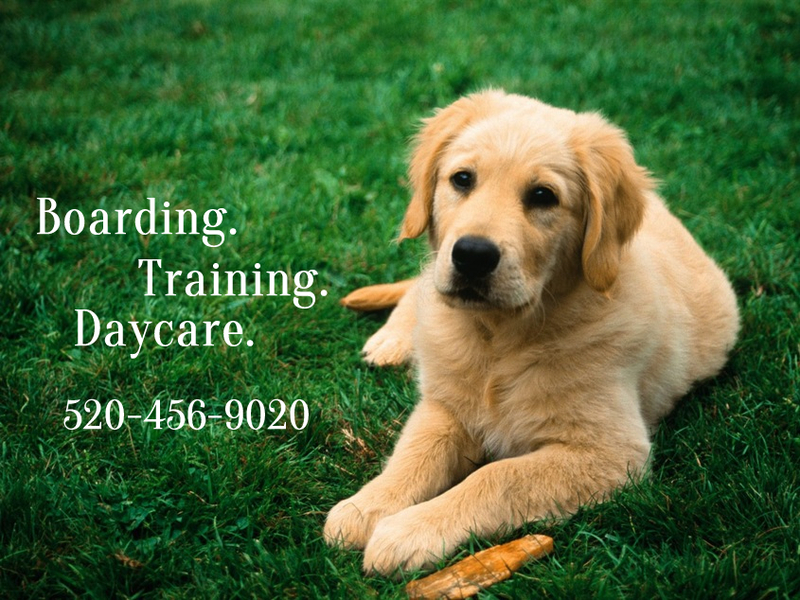 $30 per hour for your first dog, additional dogs are $12 each dog per hour. If you rent the pool for more than an hour, all dogs pay $12 per hour for the second hour. Please call (520) 456-9020 to reserve your time. Does your dog love to jump, or love swimming? Dock diving is a sport where dogs jump off a dock into a pool. Categories of dock diving are a) distance; b) height jumped, and c) fastest retrieving an object. Students should bring a dog crate if possible, small treats, cloth leash and collar, water and water bowl, and a floatable toy. Wear clothing that you won’t mind getting wet. Come prepared to get in the pool if your dog needs to learn to swim.